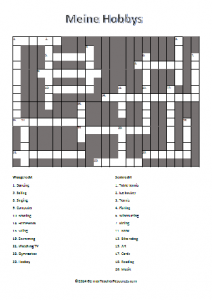 Currently viewing the tag: "Crosswords"
A hobbies crossword to help to consolidate vocabulary on the topic. 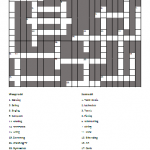 Students are given the names of a variety of hobbies in English and need to fill the crossword in in German. Click on the image below to download as PDF and the answer sheet is available below that. You can download the answer sheet here.